As if anyone needed another reason to go to Efteling, but here’s one regardless. We’ve mentioned this recently, however now there is more indication of when the new Efteling resident will arrive. 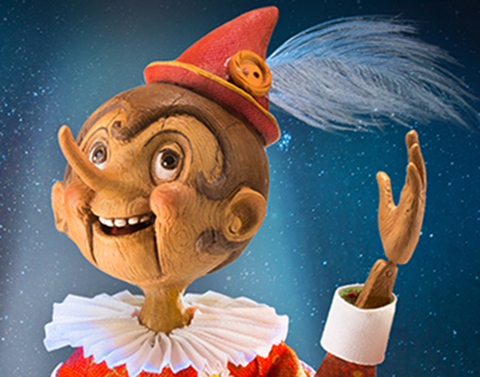 Efteling are opening their 29th Fairy Tale in the Fairy Tale Forest in Spring 2016. Around €2,000,000 has been allocated for this attraction, and it is the newest since The Emperor’s New Clothes opened in November 2012. Does anybody else feel uneasy about this little wooden head? He looks a little like a toffee apple that has been dipped in chocolate. That is a promotional image from the Pinokkio musical, taking place in September, so of course, who’s to say that that is the Pinokkio that will be installed into the Fairy Tale Forest? (Fingers crossed that whatever he looks like, he looks a little less creepy than this guy!). Out with the old, in with the new! Although we do hear that this gentleman is going to be receiving lodgings elsewhere in the park, so he doesn’t have to pack his bags just yet. From here, we can still wonder, hope and dream about what the 30th fairy tale will be when it arrives. Maybe the Ugly Duckling? There are so very many to choose from, but until then, we have Pinokkio to look forward to. It’s the spookiest day of the year! Back in 2009, Efteling did something spooky themselves, involving a light-fingered witch. 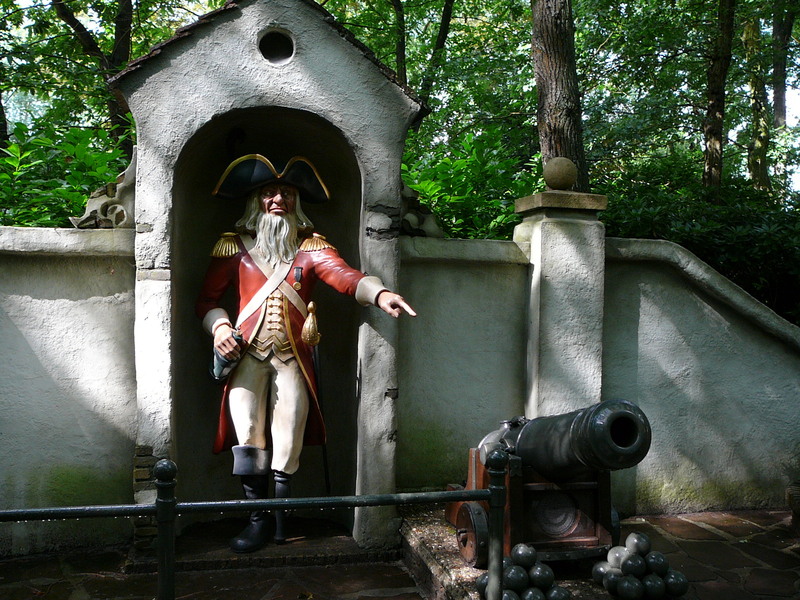 This witch had stolen some key objects from the Fairy Tale Forest, and they were scattered in various locations, not in Efteling, but around the Netherlands! Here’s a video of the whole story! What if the Wolf had no point in eating Red Riding Hood? What if all the Red Shoes were dancing? What if there was music from all mushrooms? What if there was no paper for Holle Bolle Gijs? This could go on forever! What if all donkeys popped out gold coins? What if all mirrors talked? What if Langnek got a stiff neck? 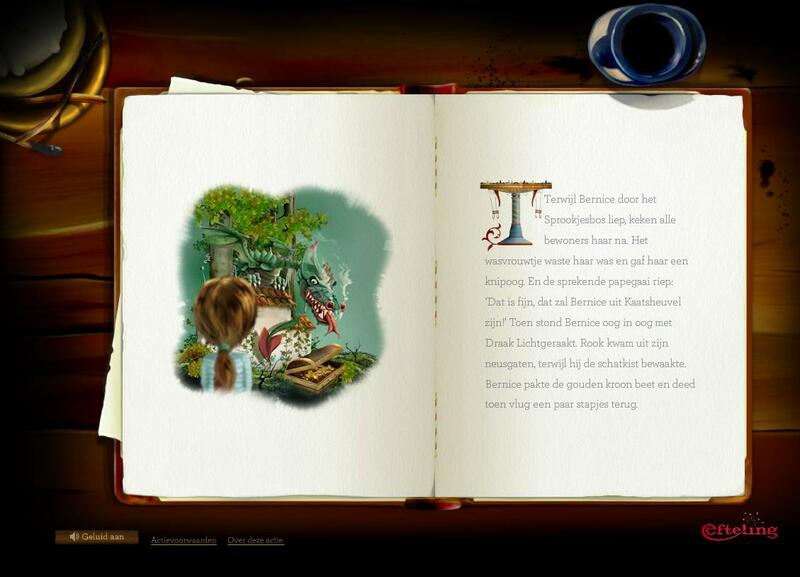 There is a really cool Efteling page that has recently gone live, where you can personalize your own story, starring yourself! It is completely in Dutch, however, I managed to figure my way through it to create my own story, so you could do the same if you don’t speak Dutch! The best part is when you get to read through your story, as all of the images move and do little things. To create your own, click here. On another note, we are now called ‘Efteling UK’ on Twitter, for anyone who is wanting to follow us. Thanks for reading and keep checking back! The Frog King: Ball Troubles! I thought I would share this video with you all, as I find it quite amusing. On a side note, I have edited the Sprookjesbos page and added dates for each of the attractions in the fairy tale forest…It is surprising how old some of the things in there are! Subscribe, comment and share with your friends. If you have StumbleUpon, please give us the green thumbs up!